Carrying a 5kg doing housechores is ain't easy. 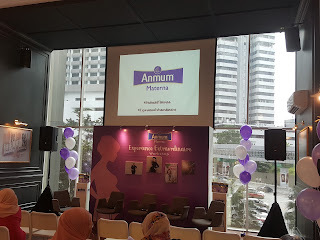 Thanks to Anmum for giving me the experience again after 9 years. I got a heartburn after 5 min. I think if we have to have the weight gradually then it won't be so bad. I realised I had a bad posture last time. For mummy who wants to take heavy load, when we squad, one knee need to be on the floor and the other to support the baby weight. 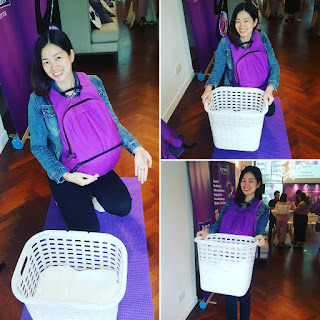 It gives mummy more support and with good posture we protects our back throughout the pregnancy. During the workshop, Dr Raman, consultant obstetrics & gynaecology shares about the changes of a pregnant mummy's body. Which is true that the first 12 weeks, pregnant women will get all these mood swings and got irritated to everything. 2nd trimester is better as mummy glows due to hormonal changes. For final trimester we will experience body ache, water retention and this includes pain on the pelvic bone. Mothers need to take note of their ideal weight Before pregnancy To ensure that they are back to their ideal weight after pregnancy. 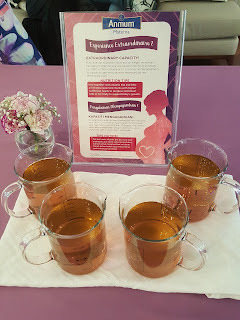 Pre pregnancy weight that are below 45kg is a normal weight and will gives a weight during pregnancy of 70kg. 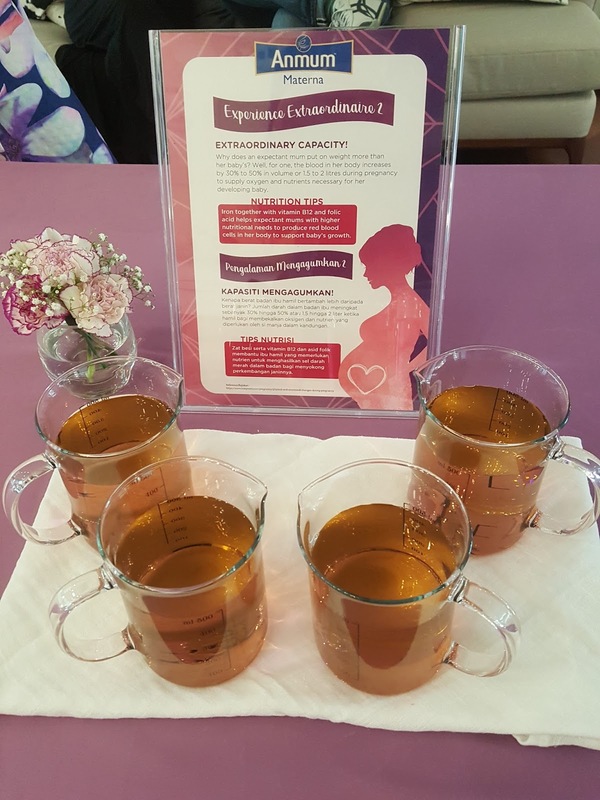 Dr Raman highlights that major gain is due to water retention as we gain 1.5 to 1.8 litre during pregnancy inclusive of increase of blood and fluid in our body. 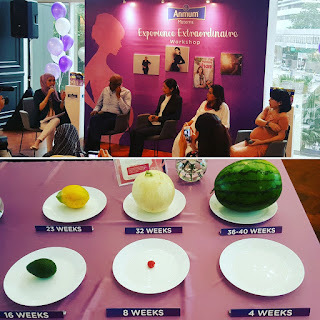 It is also great to know the baby size during the pregnancy visualise by the fruit weight. First 4 weeks it can barely be seen, but this is when we excites when we first realised we are pregnant with the pregnancy test. A full pregnancy, baby would be at a weight of a watermelon. 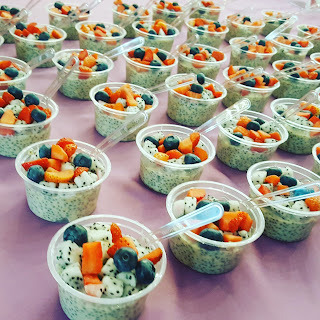 Talking on nutrient, carbohydrate is a very very good source for baby growth and not high protein diet. High protein diet will lead to small baby size without inclusion of high carbohydrate into the diet. Source of iron is better from Meat than lefty vegetables. Meat has better iron for better adsorption and better quality. Folic acid can derived from green vegetables. Pregnant mothers are adviced yup reduce sugary food especially durians as it leads to heat body and cause high sugar level. Healthy diet needs to be balance, moderation and variety from the food pyramid. We have to observe the cooking method especially to reduce fried food which is high in fat. 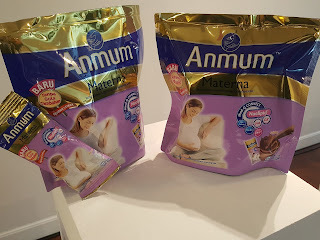 Mum should have a good gut health by having inclusion of probiotic and probiotic. And do you know that Malaysian mothers only achieves 40% of calcium intake according to the index. 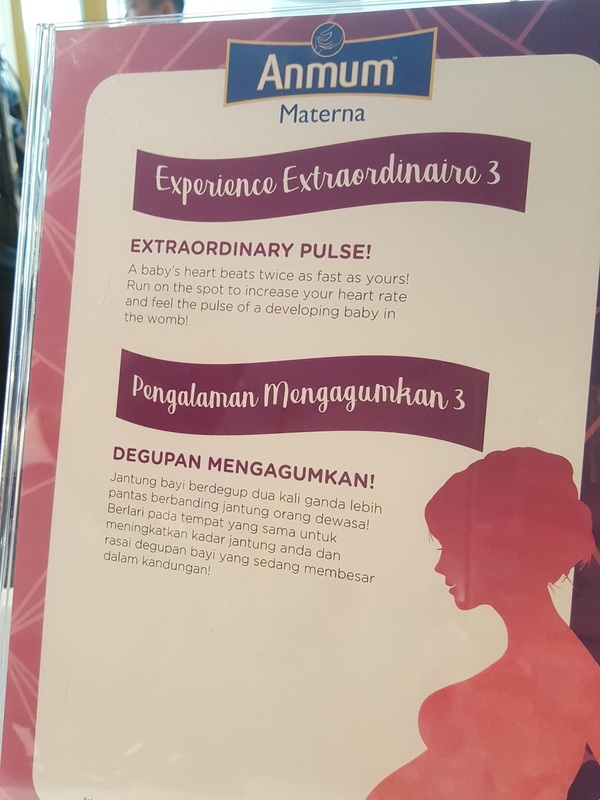 Everyone will have a different experience during pregnancy. 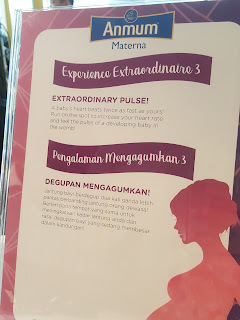 Even Jihan Muse have an appendix problem during her 4th month pregnancy. 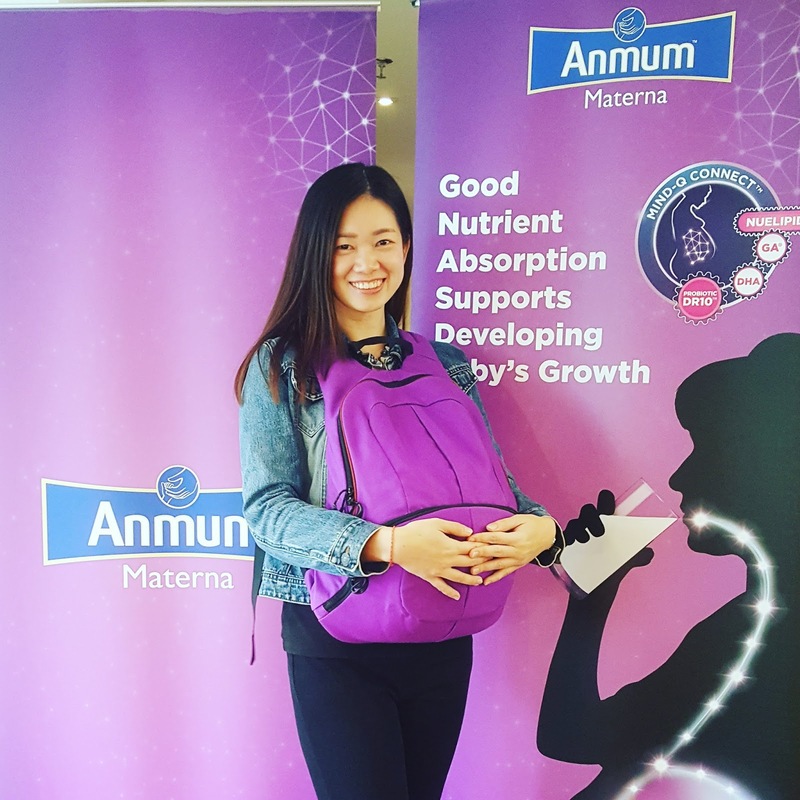 While Ng Kar Yoon, a radio announcer and TV host vomited 5 to 15 times per day during 1st trimester. She can't eat more than a portion of a palm and rely lots on milk intake for nutrient. Both of them choose Anmum Materna for their nutrient intake. It has been a rewarding sharing. 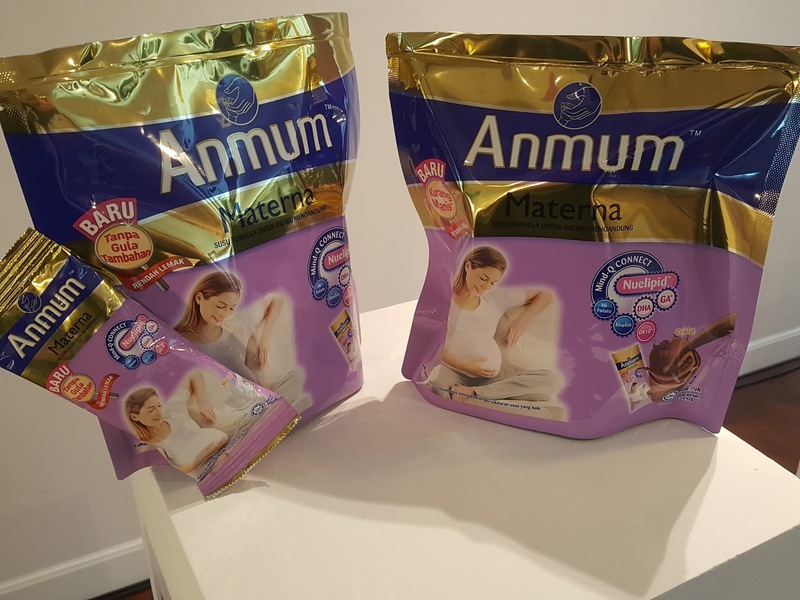 For your information, Anmum Materna now comes in new packaging with no added sugar, low in fat formulation and comes in sachet form for the "on the go" mum. It has both vanilla and chocolate flavour. Try this new recipe if you want something different. 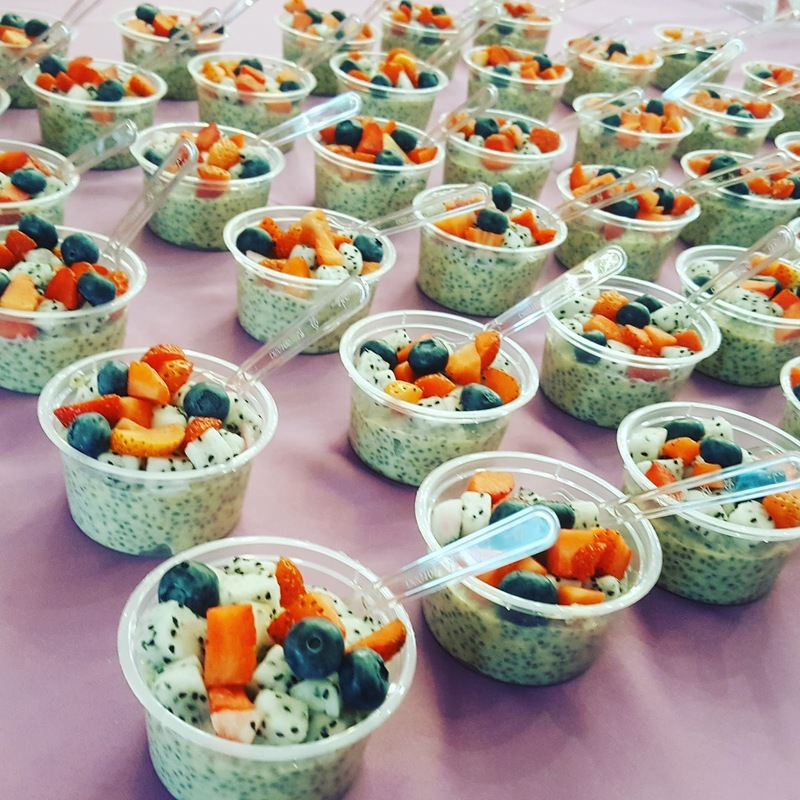 A mixture of milk, yogurt, chiaseed, strawberry, blueberry, Dragon fruit. It taste tummy!